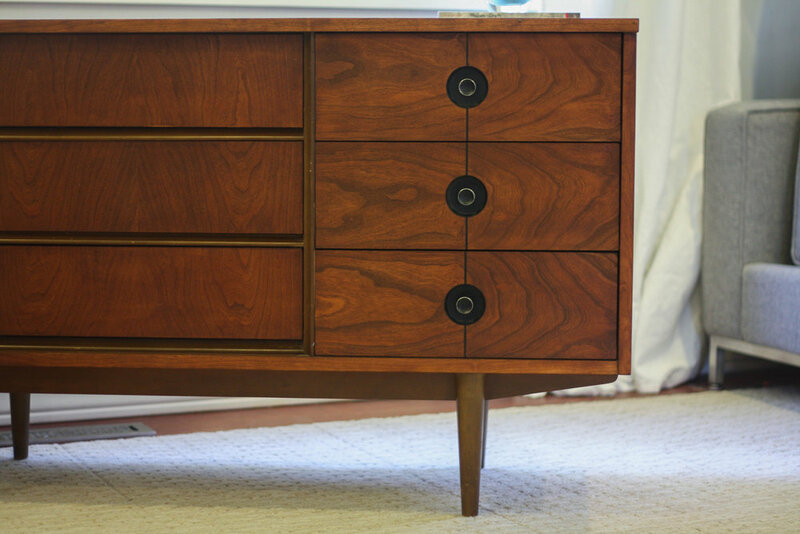 For your consideration is this Mid Century Modern lowboy dresser by Stanley (makers mark is stamped inside the drawer). Check out the grain on the wood drawer fronts, beutiful hues of red and brown. The three right drawers feature original hardware with the iconic black recessed caps that made this line so popular. 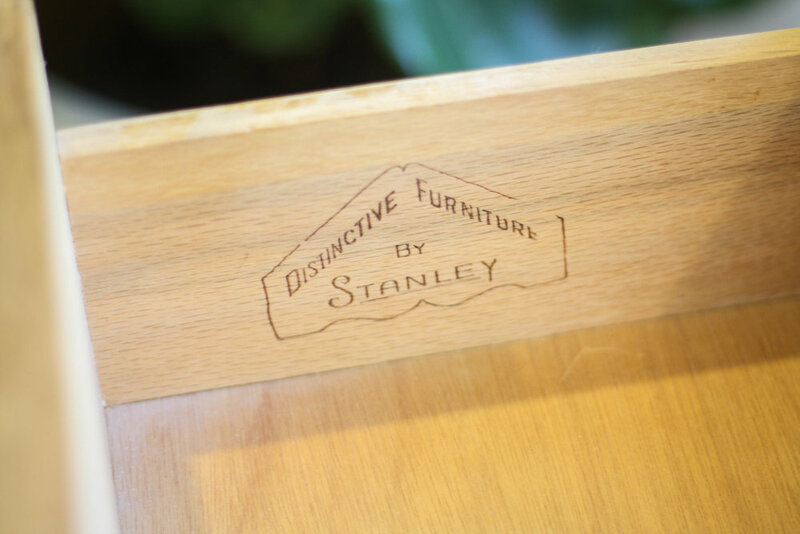 All drawers are dovetailed and solid wood. Comes with a matching mirror as seen in the last photo. The mirror also has rails and can quickly be mounted to the back of the dresser vertically if desired. In good vintage condition with light signs of use. Most significant would be a chip to the top right corner as pictured. All six drawers slide easily. Length 52 inches; Height 30.5 inches tall; Depth 18 inches.